Ever looked for space and astronomy-related apps? Or wanted to experiment with a new one? In this guide you’ll find all of the best and most interesting apps for your iPhone, iPad, and Apple Watch! You can click on a title of each application to open the link to iStore. The ultimate astronomy app. 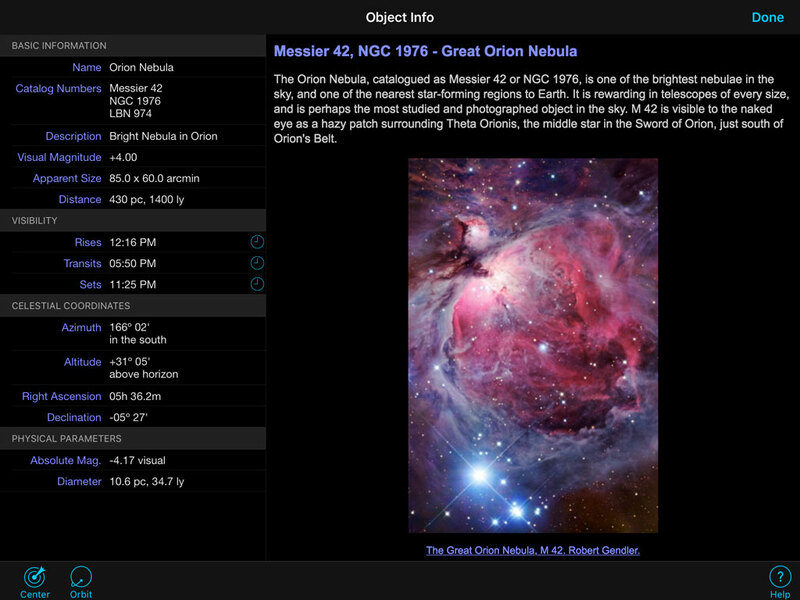 It features the most up-to-date and detailed database of astronomical objects of any app I’ve encountered, and an enormous amount of features. Just to mention a few: multiple different view modes (orbit, sky, night), 3D visualizations (including high resolution Moon and latest textures of the Pluto/Charon system), ISS flyby, Iridium flares, view of the objects location in the Milky Way, remote control of the GoTo/Push-To telescopes, and many, many more. While the Pro version might be considered expensive – there are 2 cheaper versions available, a comparison between them can be found on the official SkySafari website. This app will allow you to browse through a vast database of discovered exoplanets. 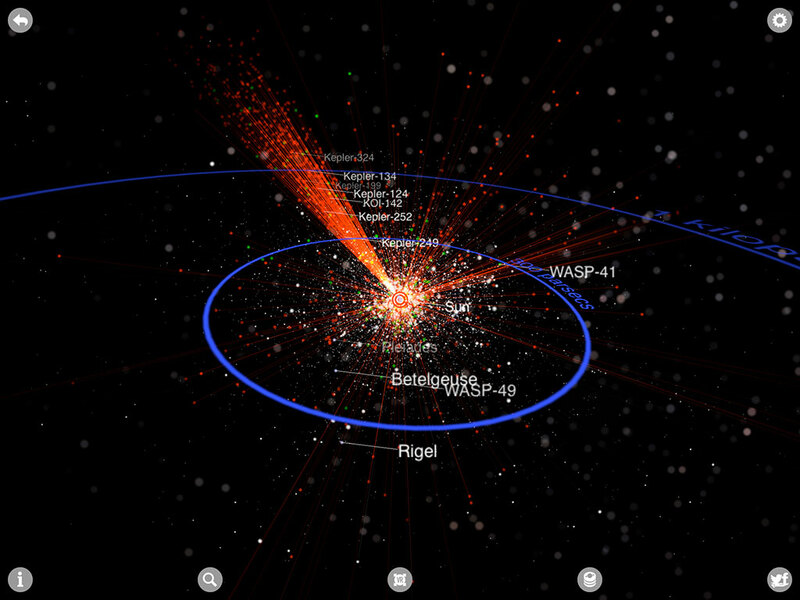 Some of the features include: visualisations of the planetary system; location of the exoplanet on a night sky or in a 3D model of the galaxy; size and orbit comparisons to the planets in Solar System; visualisation of a transit in front of the parent star; filtering of the database and more. It’s a free application, so I would recommend trying it at least once. One of the most popular applications in the iStore. It not only looks very beautiful, but also offers plenty of information and visualisations for a very modest price. 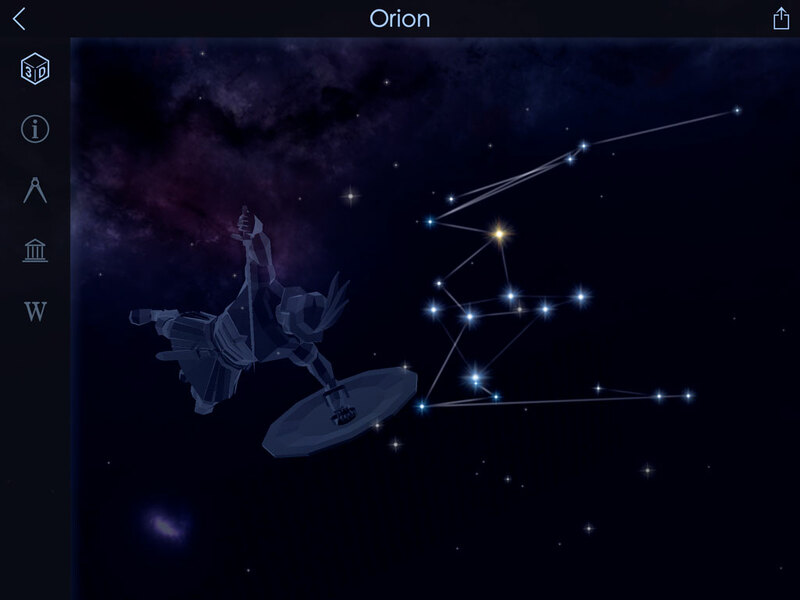 The free constellations upgrade visualizes stars from each constellation in a 3D space (as illustrated on the screenshot below with the Orion nebula visible from the “top“), and it adds also the text pages with myths behind each constellation. The additional features, arguably those that really make application stand out, are hidden behind paywalls. I’d recommend buying the all-in-one bundle – while it doubles the price of the app, it’s really worth it, given the 3D visualisations of satellites, internal structure of planets, shape of nebulae, and other. 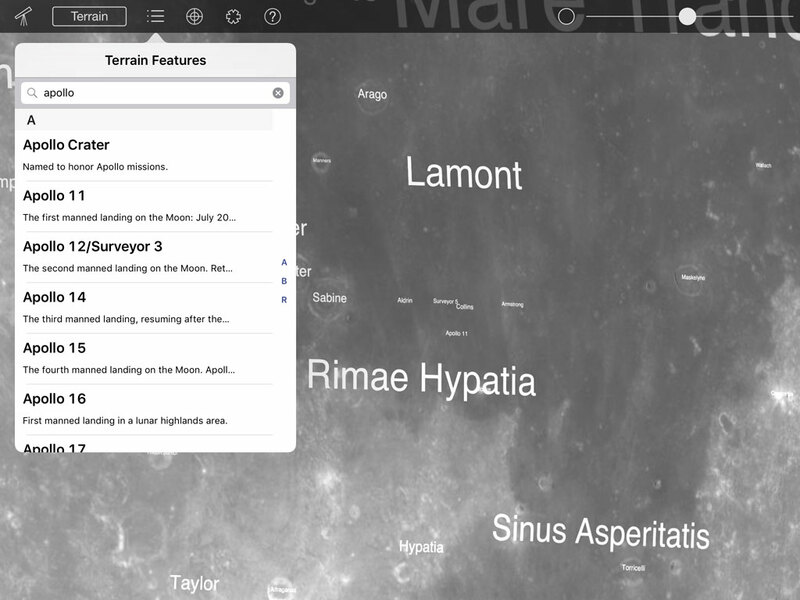 Two apps featuring 3D globes of the Moon and Mars with the names of major features and locations, including the spacecraft landing sites. Nice, clean, and easy to use. 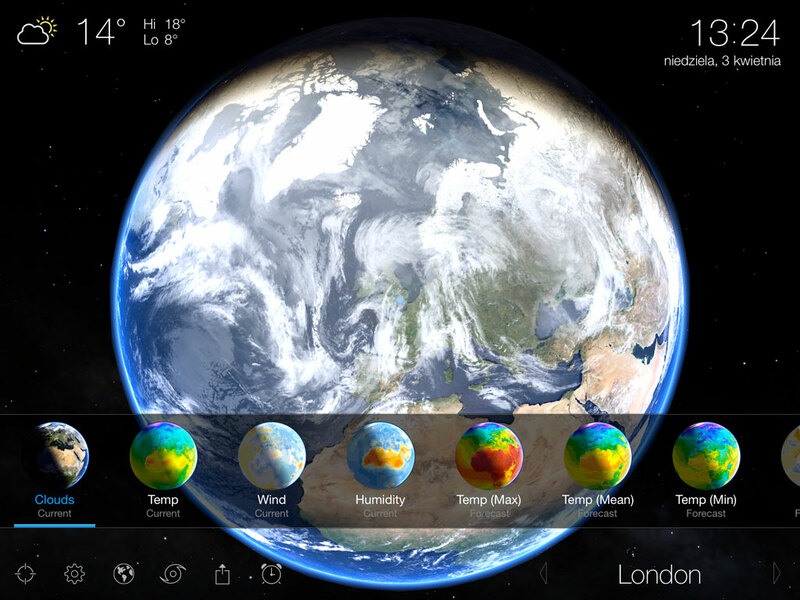 Beautiful Earth visualisation with the latest weather forecast, cloud map, tropical cyclone updates and an alarm clock. Dedicated app for planning observations of the iridium flares. 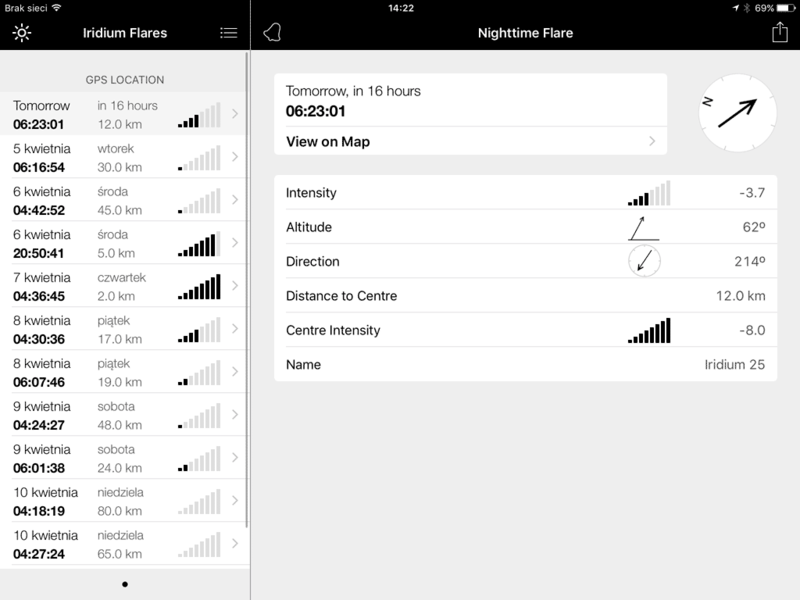 It works very well, it actually guided me to see the flares even from a city center with high light pollution. Sadly, the interface uses the names of months and days from your iPad language setting, making it slightly confusing if it’s set to anything else than English. Must-have application that doesn’t need to be introduced. While it’s missing some of the features of its desktop version, it’s still a very powerful tool, and touch controls really add to the experience. There are hundreds of iOS games about space exploration, but this is arguably the best one. Space program manager, with plenty of historical details from the US perspective, is not only a great educational tool, but also a really fun game to play. It is still being updated with latest bugfixes and even though it’s hardly on the cheap end – it’s worth every euro. Unofficial app featuring NASA APOD with an option to create a list of favourites, share, or save the picture on your device. 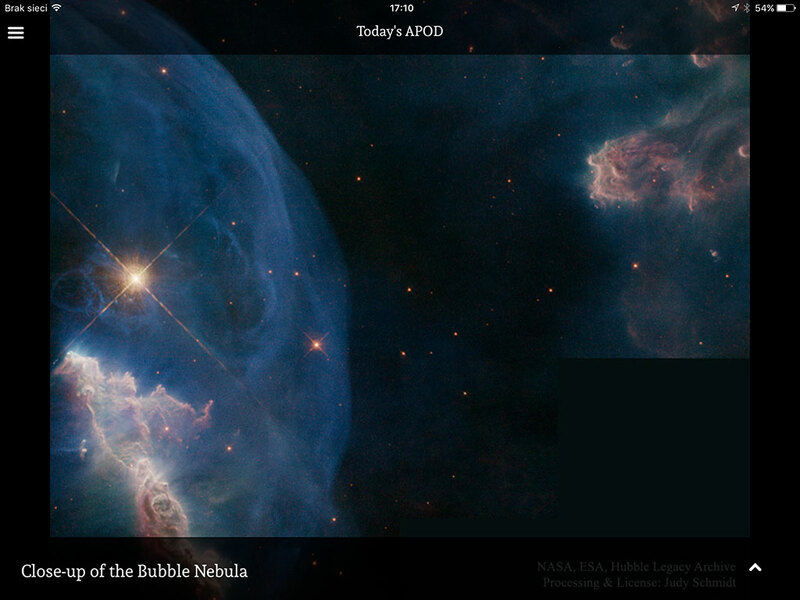 There’s also a gallery of all the APOD pictures, though it seems to be slightly buggy at the moment. But… it’s a free app, so you can’t really complain. ESO offers 3 apps, 2 of which are basically e-books in the form of an app. Definitely worth the look though, as they feature some truly outstanding photographs. The third one is the Portal to the Universe, which is basically a news app, however it was updated last time in 2011 and currently has several major bugs, making many features inaccessible. 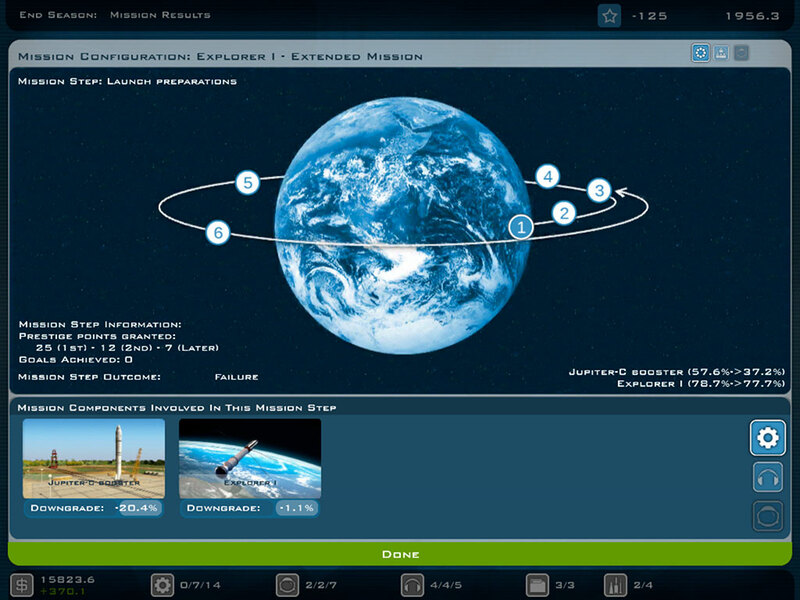 ESA apps are focused mostly around individual missions, with handbooks definitely being a highlight, though some more unique apps are available too. Must-have ESA Bulletin allows you to download and browse free ESA bulletins with insights into the agency and updates on their missions. There’s also an AR (augmented reality) application featuring several models of ESA spacecrafts. This is the agency with the largest portfolio of applications, featuring games, visualisations, galleries, and many more. JPL has its own, wide range of applications. Two of them worth highlighting are Earth Now – showing a few unique views on earth you won’t find in other applications, such as Carbon Monoxide levels, and the Spacecraft 3D augmented reality app with a wide set of models to view. JAXA currently has one app – it’s a game about rocketry. And while it looks fun – it’s available only in Japanese. 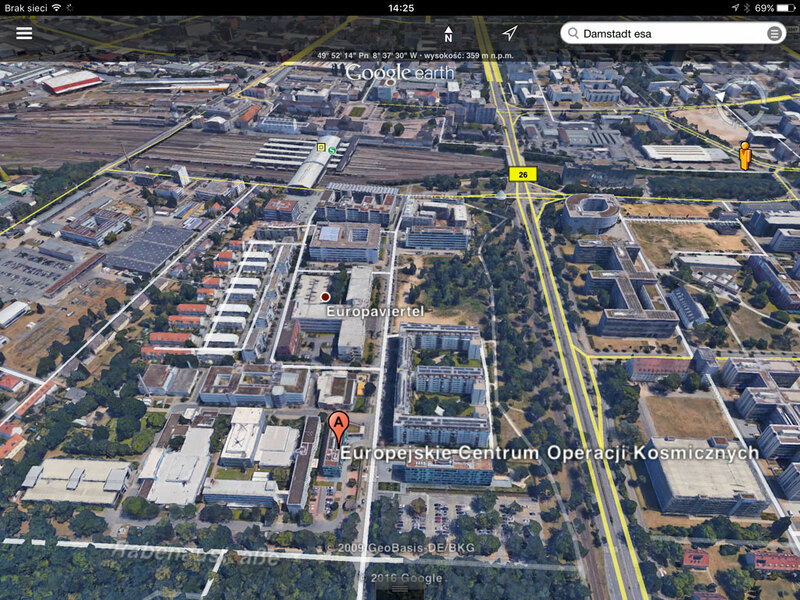 The German Aerospace Agency focused on iPhone apps. Two applications are available only in German: Quiz and a DLR_next app which features basic star map and the ISS tracker with notifications about a next pass. Their third app is a programme of the 11th Low-Cost Planetary Missions Conference from 2015. The smallest agency on the list with its own app, sadly it’s available only in Arabic.